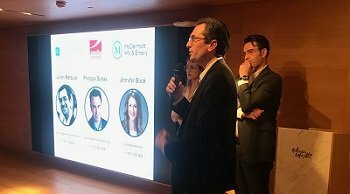 March 13, 2019 – Paris Conference – French Morning, in partnership with Axelia Partners, McDermott Will & Emery and Kinesis Partners, organized a conference on the essential steps for a successful U.S. expansion. The speakers, Julien Marzouk, Philippe Suhas and Jennifer Bock, detailed how to prevent common pitfalls and gave valuable tips to succeed. Among other topics, they addressed how to adopt an American approach of the market, how to choose the right legal entity, how to manage the cultural workplace differences, how to raise funds in the US, and how to manage the legal aspects of doing business in the US. Learn more. June 2018 – Axelia Partners team attended a very informative workshop on custom laws and regulations last week. The session was presented by Matthew Bock of Middleton & Shrull, a law firm exclusively devoted to the practice of International Trade Law. 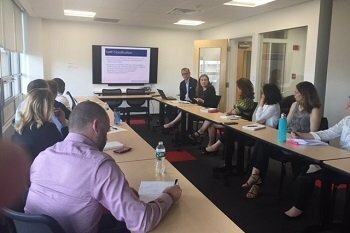 Mr. Bock reviewed the basics of U.S Customs laws and regulations before identifying specific risks and opportunities for our clients based on product types, countries of origin, assembly and manufacture, and proposed supply chains. 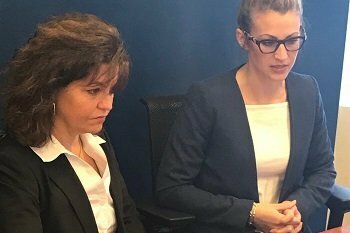 April 2018 – Axelia Partners hosted a very informative workshop, in collaboration with Business France, the international law firm McDermott Will & Emery and Voisin Consulting, to help prepare the French entrepreneurs coming to Boston’s 2018 BIO International Convention in June. Alexandra Suhas gave a practical overview of what it takes to do business and manage an entity in the U.S. Learn more about the French delegation at the BIO Convention. November 2017 – Alexandra Suhas shared advice on how to expand a business efficiently and compliantly in the U.S. She addressed the following topics: Where to start a business and under which legal entity; Budget and timing; First steps after the entity creation (bank account, lease, insurance); Taxation (VAT, corporation tax, dividends); Transfer pricing management; Recruitment and management of human resources in the US; Expatriation (visas and relocation). Learn more. 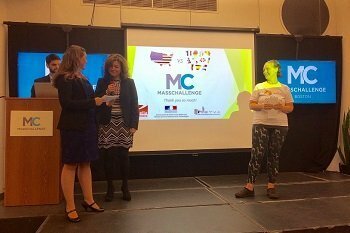 October 2017 – Axelia Partners was a proud sponsor of the friendly Europe vs. USA Startup Elevator Pitch Battle, hosted by MassChallenge, a Boston startup accelerator. It was a great opportunity for some of the most promising European startups, including five 2017 NETVA laureates, to compete with the American startups currently participating in the MassChallenge accelerator program. The selected entrepreneurs each got 90 seconds to pitch and convince the audience. Alexandra Suhas was pleased to hand out the prizes to the battle pitch’s winners, CareAline and WorkAround. 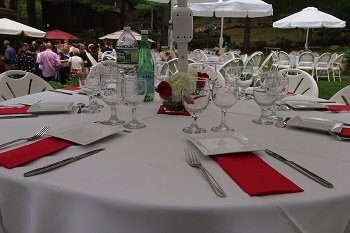 The event concluded NETVA Week 2017 in Boston. 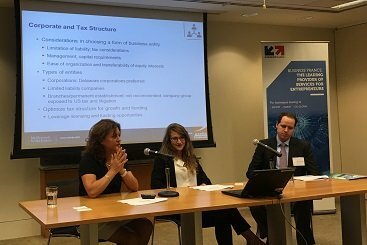 September 2017 – Axelia Partners, along with McDermott Will & Emery and the French Consulate, co-hosted an informative event for a delegation of French life sciences companies which are exploring the prospect of launching and/or expanding their operations in the U.S. 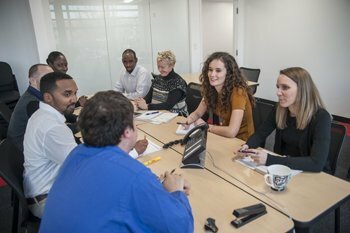 The event was designed to offer the participating companies an opportunity to address all of the various questions, concerns and needs associated with that process. It also allowed a variety of subject matter experts and service providers to meet with these companies and explore potential mentorships, synergies and/or collaborations. 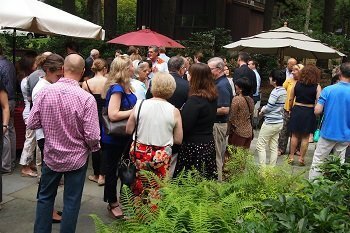 September 2017 – Alexandra and Philippe Suhas welcomed eighty guests, including employees, clients and partners to their home for the company’s annual garden party. 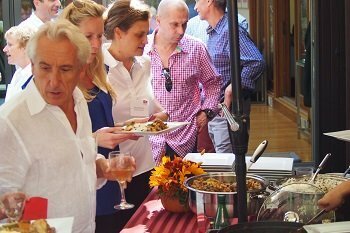 A great opportunity for everyone to meet and exchange ideas in a relaxed setting. Boston, MA – January 2017 – Please join us in congratulating our CEO, Alexandra Suhas, this month’s French Woman of the Month! Watch the video below. Celebrate! 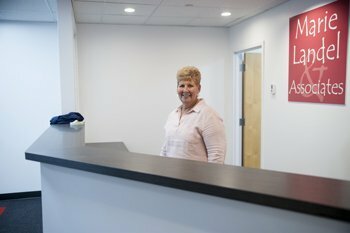 Our clients are in the news! Paris and Boston – June 2016 – Our own Marie Landel will present at this year’s NETVA conference at BPIfrance in Paris. 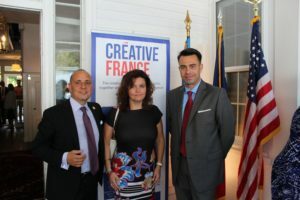 The New Technology Venture Accelerator (NETVA) is a program of preparation and exposure to high-tech US markets for young innovative French companies. It is run by the Office for Science & Technology of the Embassy of France in the United States in three locations: Boston, San Francisco and Washington, DC. Alexandra Suhas will present as NETVA comes to Boston in the fall. 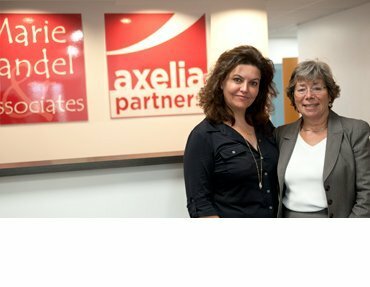 Cambridge, MA – December 2015 – Marie Landel & Associates, a renowned service company that has been helping European organizations succeed in the U.S. since 1990, becomes Axelia Partners. The name change reflects the company’s new ownership by Alexandra Suhas, Chief Executive Officer since 2013. 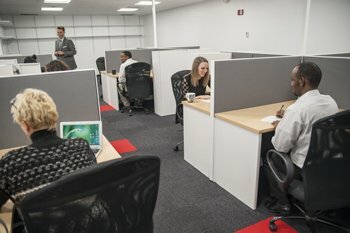 In conjunction with the name change, Axelia Partners is expanding into larger offices, unveiling a new identity, and launching an informative and easy-to-navigate website (www.axeliapartners.com).